Homemade Blueberry Syrup is super easy with one pint of blueberries and pantry staple ingredients! 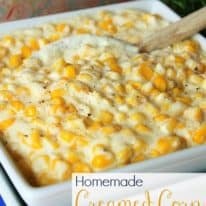 Perfect over pancakes, waffles, or vanilla ice cream! As a kid, I used to LOVE going to IHOP because of all the different flavored syrups they had sitting there on the table. It was a rare event though, and now I’m SO GLAD I know how easy it is to make different flavored syrups at home! 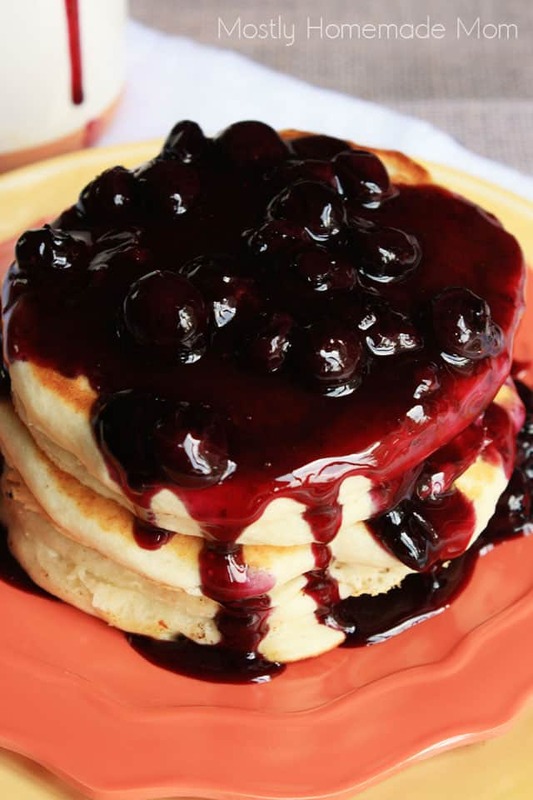 This Blueberry Syrup recipe literally takes about 5 minutes to pull together on the stove top. 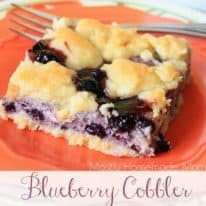 Are fresh or frozen blueberries used in this recipe? Either works! A pint of fresh blueberries, or 2 cups of frozen blueberries are interchangeable in this recipe. 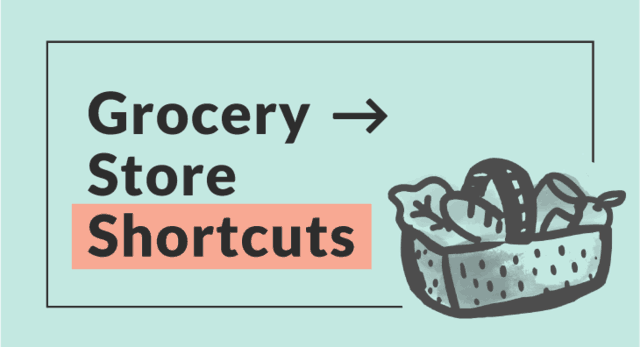 This is a great one to keep on hand if you plan a blueberry picking trip in the summer – or if you’re super lucky and have blueberry bushes in your own backyard. I’m super jealous if that’s the case! 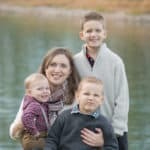 Can sugar substitute be used? Not in this recipe. 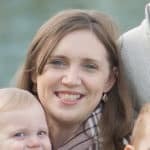 The sugar melts down to create the syrup and sugar substitutes do not perform in the same way. How is this blueberry syrup stored? 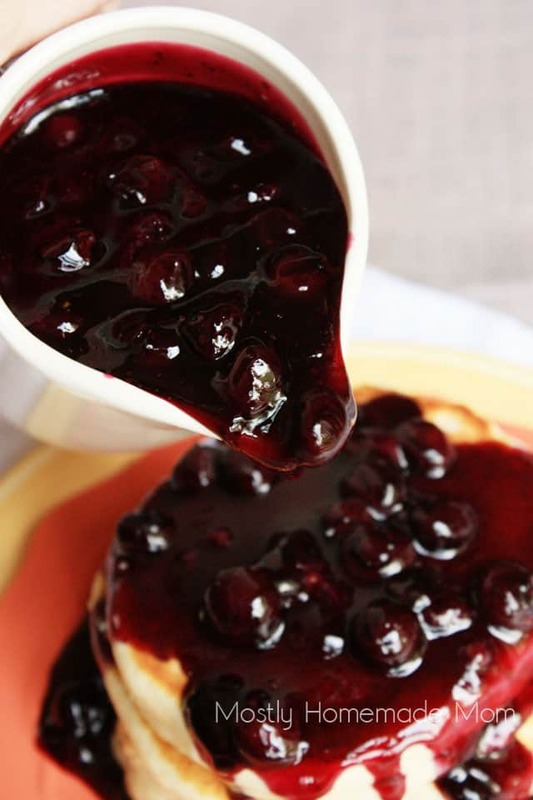 Keep this blueberry syrup in a lidded container in the fridge and either serve it cold, or warm it up slightly in the microwave before serving. 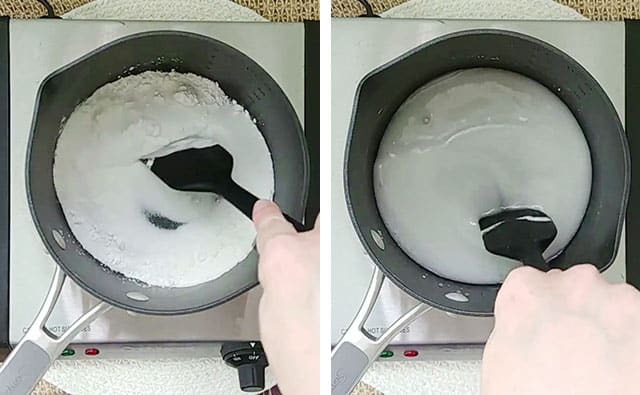 Stir together sugar and cornstarch in a saucepan. Whisk in water. 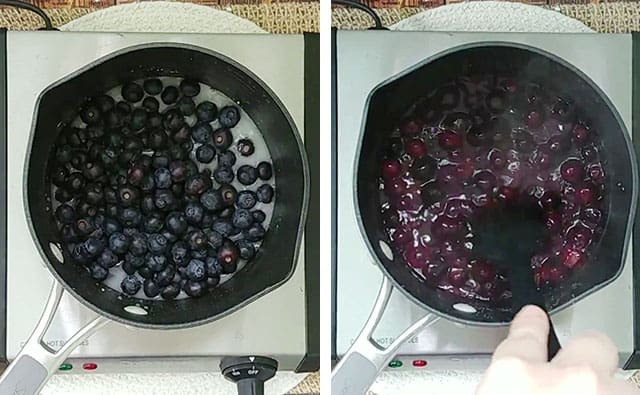 Stir in blueberries and bring mixture to a boil. Continue to boil for 1 minute while stirring constantly. Remove from heat; mixture will continue to thicken as it cools. Can homemade blueberry syrup be frozen? Yes! If you have any leftover, just store it in a lidded freezer container and then just thaw in the fridge. 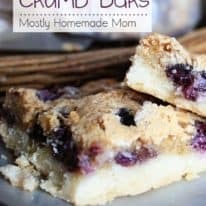 I’m planning on doing this with my leftover blueberries from blueberry picking this year. You can never have too much blueberry syrup in my opinion!! 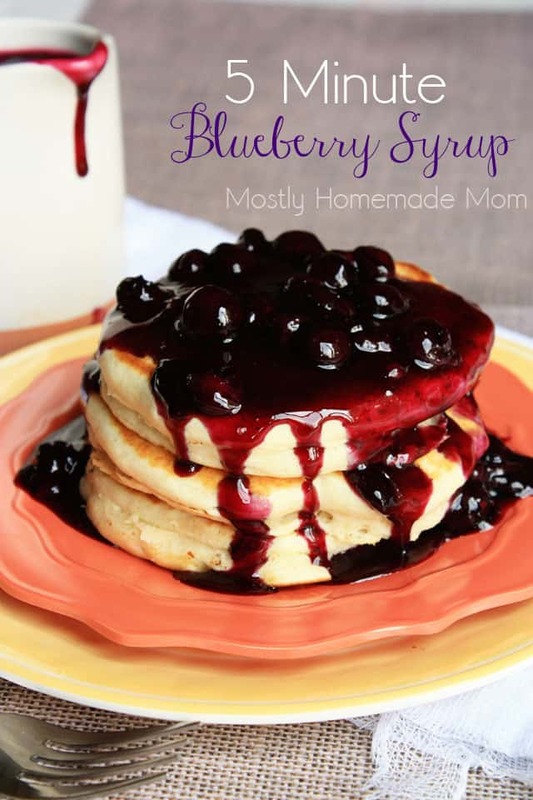 If you liked this recipe for Homemade Blueberry Syrup, leave a rating and a comment below this post! 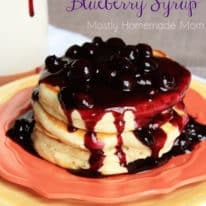 Blueberry syrup recipes uses one pint of fresh or frozen blueberries, sugar, cornstarch, and water. 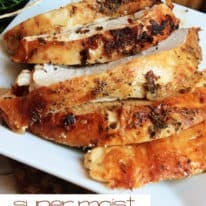 Perfect over pancakes or vanilla ice cream! Remove from heat and allow to cool (it will thicken more as it cools). Serve warm over pancakes or ice cream. Store cooled leftover syrup in the fridge. This was absolutely delicious! And so quick. Thanks. 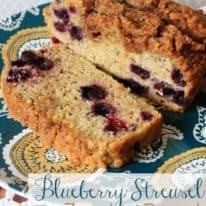 Made this with fresh blueberries and served right away with my pancakes. 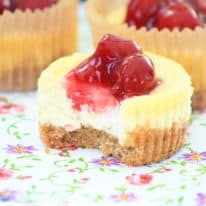 It was delicisous and wasn’t too sweet like syrup.. definitely will make again. Made this for homemade waffles. It was amazing. Easy and delicious on waffles! I made it with frozen wild blueberries. Added a squeeze of lemon juice, too.